Slideshare is rapidly emerging as a powerful online marketing tool. This web 2.0 based slide hosting service currently commands 58 million unique visitors every month, with over 16 million active registered users. Aside from such recognised names as the White House, NASA, World Economic Forum, HP and IBM, Slideshare is prominently used by businesses, brands and marketers to highlight their presence, products and services. Users can upload slides or presentations to Slideshare in PowerPoint, PDF, Keynote or Open-Document formats. As a business owner, looking to attract other businesses to your products or services, Slideshare offers a serious, reliable and complete promotional option. Business presentation highlighting your portfolio can be viewed on the website itself, on smartphones and tablets and can also be easily embedded onto your company website. All these factors, alongside Slideshare’s large subscriber base, ensure that your presentations are viewed by your target audience. Viewers can rate the presentation, comment upon and share it, leading to a viral effect. Adding to the business feel, Slideshare supports hosting of documents, PDFs, videos and webinars. Easily shareable and embeddable presentations- Host powerful b2b marketing centric slides that highlight your products/services- utilise the embed code generated to feature this slide on your website, blogs or b2b marketplace profile. Ask others to do the same. Watch the ripple effect! Slideshare is an Influential marketing tool- Meaning, just as you, other b2b buyers and sellers are looking for information relevant to them. Since Slideshare is so famous, it’s easier to attract potential b2b trade partners here, or promote your website, blog or b2b marketplace profile. Collect business leads within Slideshare- The useful LeadShare option within Slideshare allow you to collect business customer leads through your presentations, documents and videos. This works as follows- 1) when a viewer tries to download your presentation, they will be prompted with a short contact form, 2) When a viewer is browsing through a presentation, a short contact form will appear after a pre-specified interval, at the end, or via a permanent display button, 3) Contact forms will also appear even if the presentation is embedded on a blog, website, forum, over social media websites or on your b2b marketplace profile. Slideshare allows creativity while keeping it strictly business- One of the few dedicated marketing resources, Slideshare allows you to be creative in your approach just as you would on a social media website. Slideshare also allows you to test new trends, innovate and lead discussions, while ensuring you a large viewer base (comprising of your target audience made up of b2b buyers and sellers). 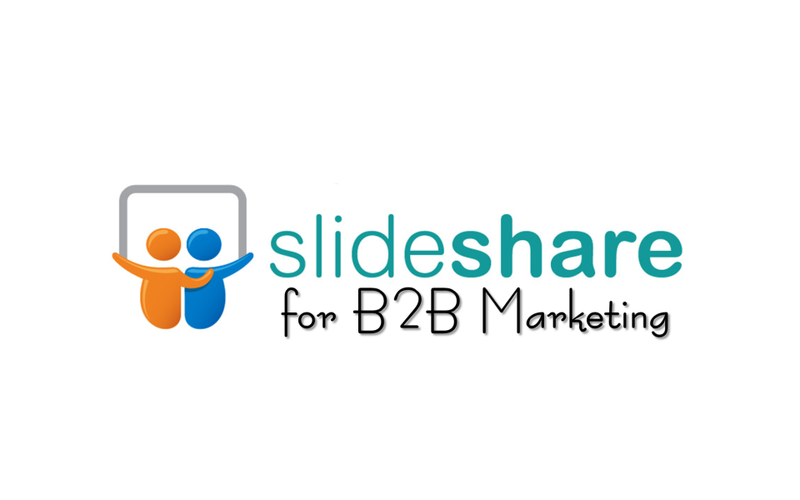 The verdict is clear- if you are serious about b2b marketing, you must be on Slideshare!